Students have an opportunity to learn about the Makahiki season and its importance during a presentation Wednesday at the Nāulu Center as part of the E Ola Pono Week events. Andre Perez, a Native Hawaiʻian cultural practitioner and scholar, will give about a talk and presentation titled “Introduction to Makahiki,” from 10 to 11:30 a.m., Oct. 17. The talk had been scheduled for Oct. 10 but was postponed and is now part of the E Ola Pono Week activities. The presentation will address the significance of the seasonal observance as part of the Hoʻi Hou i ka iwi kuamoʻo series which offers various extracurricular and cultural activities for students. 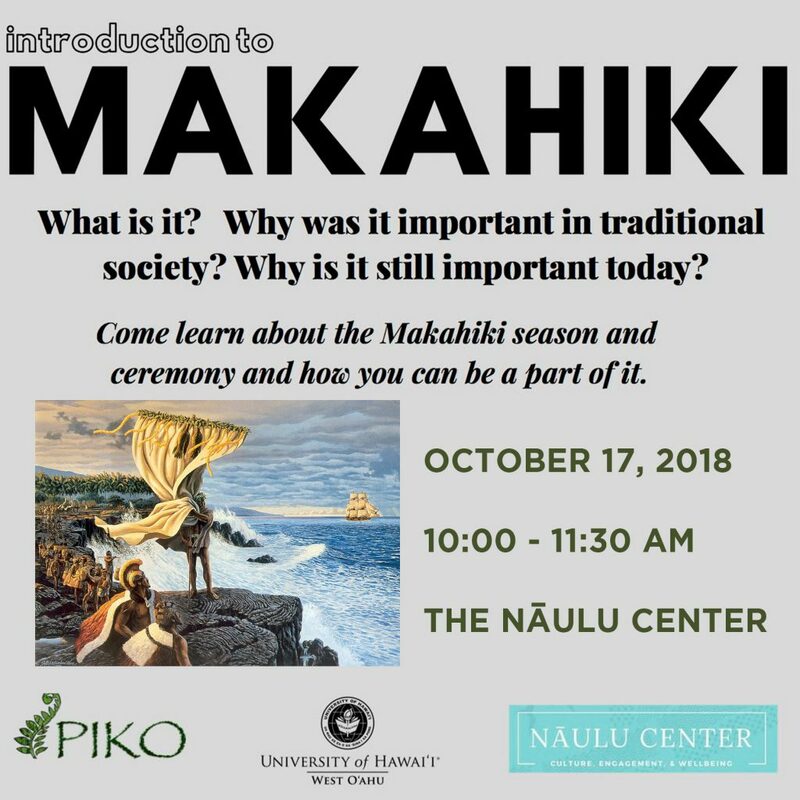 Questions such as what is Makahiki, its importance in traditional society and why it remains important today will be addressed. Students will also learn how they can be part of the season and ceremony. Tagged Andre Perez, E Ola Pono, makahiki, PIKO Project, The University of Hawaiʻi-West Oʻahu, www. Bookmark the permalink.